The House of Woodoc has dedicated distributors in all major centres of South Africa and in some other countries. They distribute Woodoc products to all leading hardware/chain stores and provide a full Sales and After Sales Service. The House of Woodoc are the market leaders in their field and the only manufacturer and marketer concentrating solely in transparent wood protection and maintenance products. The head office is situated in Fort Beaufort, Eastern Cape, and is staffed by a dedicated team headed by Frikkie Greeff, Managing Director. All Woodoc Sealers are formulated to protect and nourish wood besides forming a tough decorative finish. They deep penetrate the surface and bond with the wood, "living" with it and giving the longest possible life and surface protection. Indoor Woodoc Sealers form a long lasting beautiful finish that protects wood against heat, alcohol and water staining whilst resisting bumps and scratches. Few features in a home rival the warmth and glow of a well-treated wooden floor. Woodoc Floor Sealers deep penetrate to nourish and enhance the grain of the wood, while providing a tough, flexible surface that can withstand everyday use. Exterior Woodoc Sealers are designed to resist the elements and are UV- and moisture resistant. At the end of their life cycles they biodegrade and only need cleaning down with Woodoc and SteelWool and mineral turpentine before resealing with Woodoc again. No special scraping or sand papering is required. As Woodoc recognises that dense (hard) woods and porous (soft) woods require different treatments to suit the nature of their composition, Woodoc Deck Products have been specially formulated for use on these dense (hard) woods and porous (soft) woods respectively. Woodoc Stain & Colours System includes 8 natural wood colours, as well as 20 translucent fashion Colours, specifically formulated for use with clear Woodoc Sealers. NEW from Woodoc is Woodoc Gel Stain, for direct application to wood - hard wood, as well as soft wood. Woodoc Maintenance Waxes are suitable for either Indoor or Exterior application, feeding the wood as they clean and refurbish the surface coating. Other Woodoc Products available are Woodoc and SteelWool, Woodoc Wood Reviver and Woodoc Transit Stabilizer. Owlproject.org is an NPC (2015/22111/080) that runs educational environment programmes within impoverished areas across Gauteng. Our passion for educating school children coupled with a vision to create owl friendly children within owl friendly environments has been the driving force behind our 12-year legacy. To date, 88 118 school children in communities such as Alexandra, Brakpan, Katlehong, Tembisa, Thokoza, Sebokeng and Soweto have participated in the Project. In the past 7 years Woodoc has been a much needed and valued partner of this Project. Below is a short summary to highlight the positive impact that Woodoc’s donations have had on the success of this Project. As a conservation NPC, it is very important to us that we maintain an environmentally friendly and responsible project commitment and the wood varnish that Woodoc generously donates to owlproject.org helps us to achieve that. None of the Woodoc products we use contain Creosote. Creosote is a problem for breeding owls and causes eggs to fail. “All embryos adhering directly to creosote-treated wood and 40–50% of embryos not adhering to the creosote-treated wood failed to develop beyond the first few days of incubation.” - (C. Vines. T. Robbins. F. Griffin. G. Cherr. 2000). 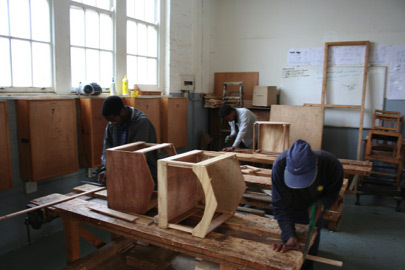 Your contribution of environmentally friendly wood paint is used to treat owl boxes, release boxes, release pens and bat boxes which are donated to underprivileged schools, colleges, parks and food gardens within townships and informal settlements throughout South Africa. owlproject.org is a programme that covers all areas of sustainability. It is primarily educational but it contributes greatly to both the social and environmental components of sustainable development. The aim of the project is to educate both adults and children within townships to the value of natural predators in their continuous struggle against both rodents and insectivorous pests. At the foundation of this educational drive is the roughly 150 young owls which find their way to the owlproject.org every year. These owls are rescued owls that have been handed into zoos, rehabilitation centres and SPCA’s nationally. These owlets are then released through this programme at schools, education centres and food gardens throughout the country. The involvement of teachers, parents and learners in the actual hands-on feeding and releasing of these owls into their environment creates a unique awareness and sense of responsibility amongst participants. Through community education days and drives, thousands of residents have been exposed to the project. Teachers and parents have also been a vital component in the implementation of a project of this nature. owlproject.org has attracted both national and international recognition. It has recently been featured as a front page article in the LA Times in the USA, as well as enjoyed coverage on CNN, BBC, SABC, e-TV, ANN7 and has been covered twice on the local wildlife and conservation program 50/50. 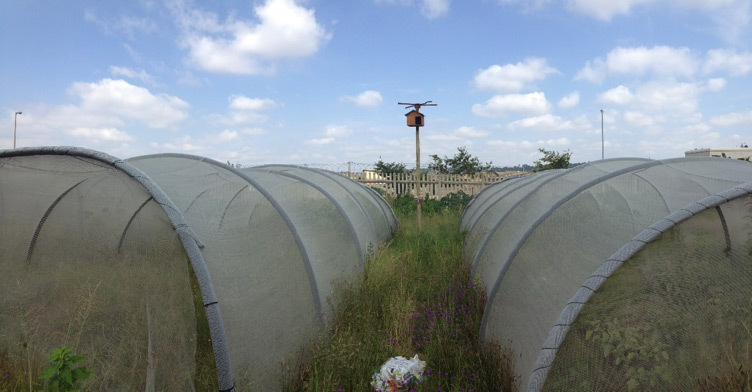 There have also been a number of radio interviews and newspaper articles covering this project. 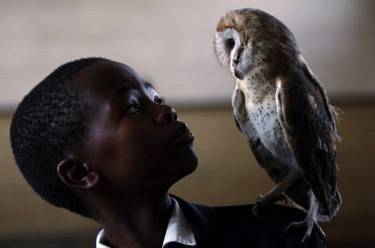 Please view the following video which was broadcasted recently on e-TV’s Kaelo Stories of Hope: Owl Project video. This Project is supported by Gauteng Department of Agriculture and Rural Development, SPCA, Wasteman Holdings (Pty) Ltd, Nissan South Africa, Woodoc, and EcoSolutions (Pty) Ltd. If there is any further information that you require, please do not hesitate to contact the owlproject.org team on 011 791 7326 or by sending an email to info@owlproject.org. Please feel free to visit the owlproject.org website or our Facebook Page: owlproject.org. REFERENCES C. Vines. T. Robbins. F. Griffin. G. Cherr. 2000. Aquatic Scientology.